When you rent your car out through Car Next Door, it’s covered under our comprehensive fleet insurance policy whenever it’s with a Borrower. If you’re on our Instant Keys plan, you and up to 5 drivers you nominate are also covered by our policy so you can cancel your existing insurance. If your car is damaged or lost while covered by our insurance, we’ll investigate to determine who is responsible, manage the claim with the insurer and organise the repairs. The insurance does not damage wear and tear. Wear and tear includes things like scuffing of paintwork and interiors, wear to tyres, etc. If your car comes home with a bit of a scuff on the hubcap, or a small scratch on the door, it’s not going to be considered ‘damage’ that requires repair. It’s just part of the car leading a full and valuable life, doing more of what it’s made for. Your distance income compensates you for the wear and tear from Borrowers’ driving. You get 13, 25 or 37 cents for each kilometre that borrowers drive, depending on the distance rate you choose. This covers fuel, tyre wear and servicing. The RACV estimates that a medium car costs approximately 12 cents/km for fuel and 8 cents/km for tyre wear and servicing. In addition to this income, your car will now be making money each hour or day that it is rented out. Rather than sitting in the garage, staying pristine but doing nothing, your car is now doing more of what it’s made for – and offsetting its standing costs at the same time. Cars on our Key Handover plan are covered under our comprehensive insurance policy whenever they’re with a Borrower. You’ll need to keep your own insurance to cover your car at all other times. Will sharing my car impact my current insurance? Every insurer has its own policies, so you'll need to contact them and check your PDS to see if sharing your car will impact on your current insurance. Damage Policy - our policy for definitions of damage and how we handle it. 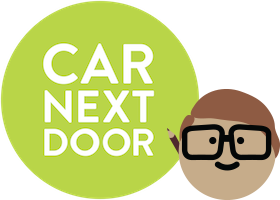 Membership Agreement - guidelines and rules for being a Car Next Door member. Owner Supplement - owner-specific rules and guidelines.